I’m a creature of habit and my nighttime routine is no different. I stop using my computer 45 minutes to an hour before bed. I avoid drinking sugary drinks a few hours before bed. I turn off all the lights in my apartment. Usually, this routine works like a charm. Some nights, despite my most valiant efforts, sleep still manages to elude me. On top of that, just one restless night ruins my sleep for the entire week. When I have those restless nights, I go to my favorite Spotify sleep playlists. This playlist is full of white noise! Think along the lines of ventilation units, electrical appliances, fans, etc. As a child, I would dance in the rain. It was so relaxing to feel the water against my skin. This playlist puts me in the perfect mood for a good night’s sleep. There’s something about night storms that make me want to cuddle up with a comfy blanket and a soft pillow. Thunder + nighttime are the perfect ingredients for a sound slumber. Living in the city, I miss the sounds of my country upbringing. This playlist hits the spot. I found this collection of Native American flute music on a whim. It’s unique and soothing. Perfect for when it’s bedtime and your mind doesn’t get the memo. 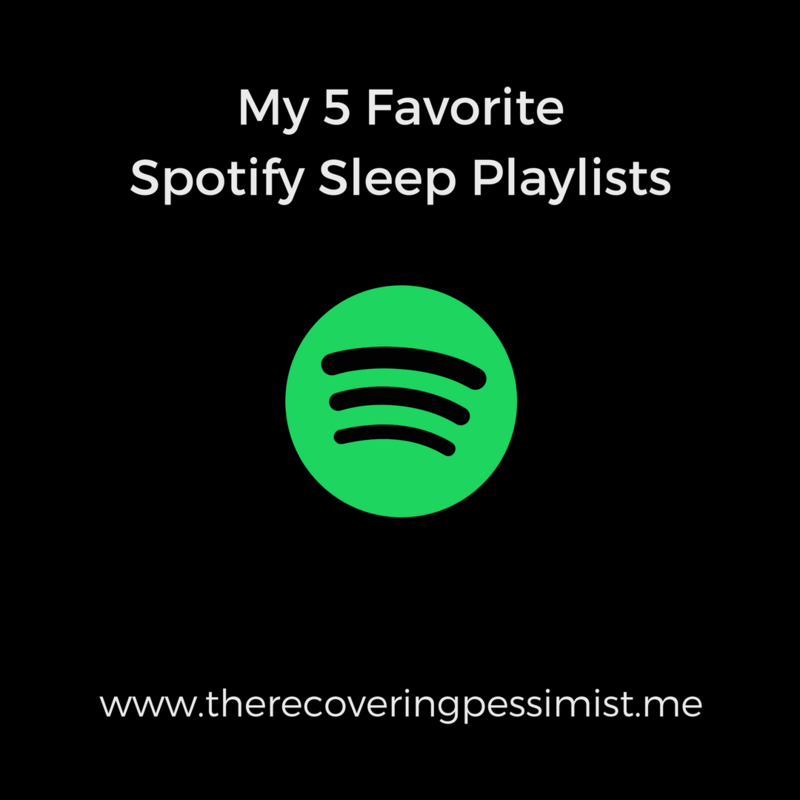 These are my five favorite Spotify sleep playlists. Do you use sleep playlists? If so, please feel free to share in the comments.